From Australia's number one slow cooking author comes this much anticipated new book of 128 brand-new recipes for slow cookers. 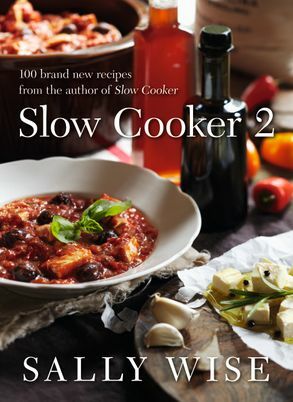 In 2009, Sally Wise's SLOW COOKER became an overnight success - not just the best known and best loved of the slow cooker books, but the biggest selling, outranking her many competitors. Since then readers have been pleading with Sally to write another book. Now she's done it! Featuring 128 brand-new recipes, tips on how to cook many of the dishes for smaller families or for households of one or two, and many more recipes for vegetable and fish dishes, this is an essential cookbook for everyone needing everyday inspiration and ideas for delicious, nutritious meals.